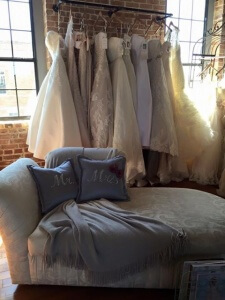 Ah, the wedding dress. 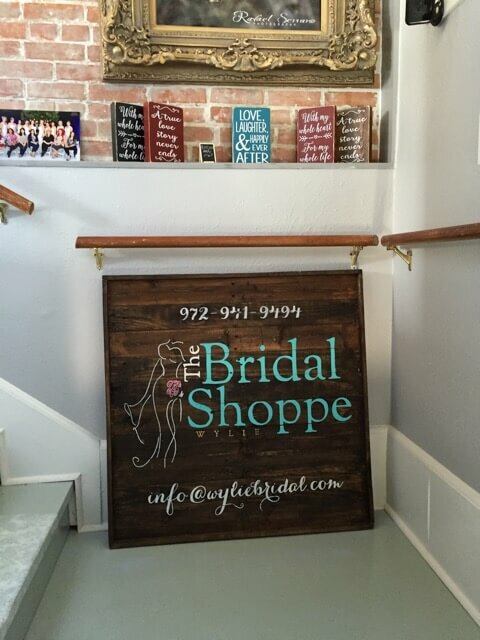 Every bride dreams of what they will look like walking down the wedding aisle. For some this process is a pain, and for others, the process is everything they ever wanted. 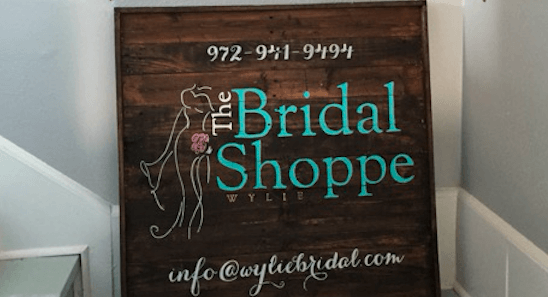 For me, it was such a pleasant experience all thanks to Mandi at The Bridal Shoppe at Wylie. 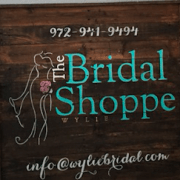 I found this cute little shop online as I was searching for a specific designer; Sophia Tolli. When we got there, she had champagne and cupcakes ready for us; such a sweet touch! We were the only group there which was very nice, definitely made the process very personal. Mandi definitely knows what she is doing and was able to tell me what type of style would best suit my body type. Although it was the complete opposite of what I was looking for, she was completely right. I ended up falling in love with the dress that she picked out for me; I was so pleasantly surprised. She was extremely patient and answered all of my questions. 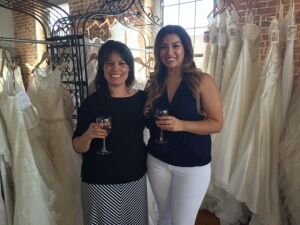 She was able to share some great tips on finding the right fit and adding the final accessory touches. It is very obvious that she enjoys what she does. Aside from her fabulous customer service, you will also love the look and feel of the boutique itself. It has so much charm, it’s just like something you’d see in move or a bridal magazine. Final words, if you are looking for a wedding dress look no further! You will NOT be disappointed.